Its going down another BIG Concert in the 518. 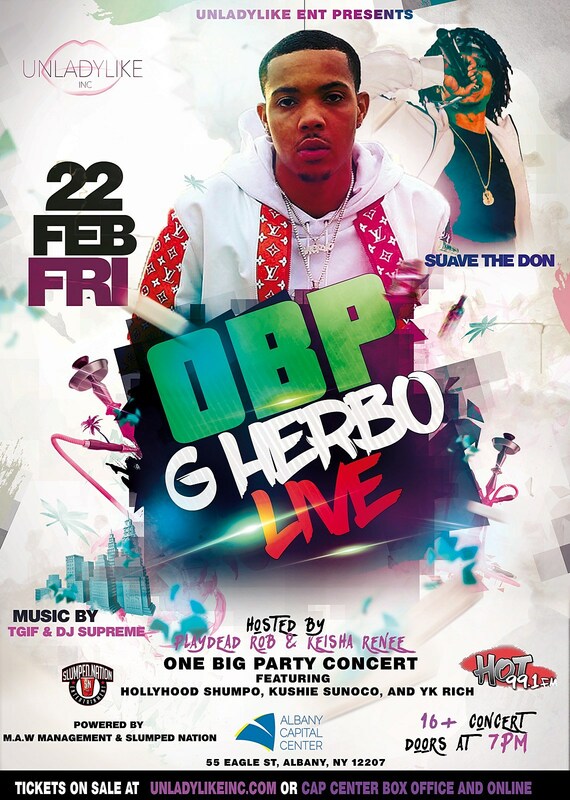 G Herbo will be live at the Albany Capital Center Friday Feb 22nd. 16 and up to attend the concert. Some of Albany's elite will be performing as well. Suave The Don , Kushie Sunoco, Holly Hoodshumpo and Yk Rich will hit the stage that night as well. Suave will be performing some new music as well as some already fan favorites like " Backyardigans". Kush as a few singles out and just recently dropped a music video to "Expensive" and he has a track "The Real ft Cal Boy which go hard in the streets.